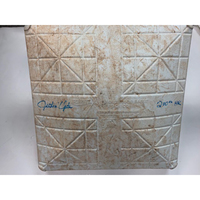 Bid now to win this game-used base from July 18, 2016 against the Minnesota Twins. This base was used as 1st from innings 1-6. Justin Upton hit his 200th career home run this game. 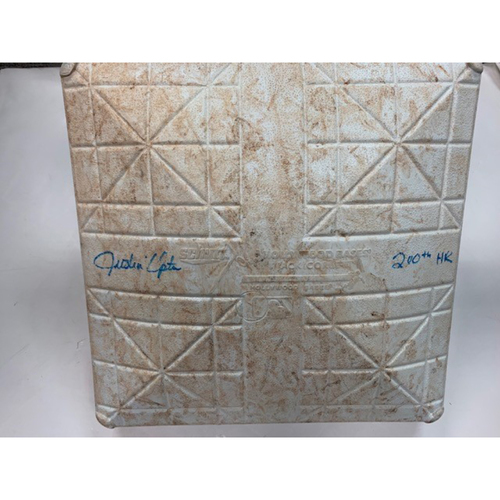 Upton autographed and inscribed this base "200th HR". By placing a bid on this item, you are expressly acknowledging the following conditions of this auction: all items are sold "as is." 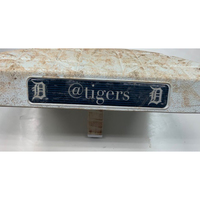 Since this item is authenticated under the auspices of the MLB Authentication Program, letters and / or certificates of authenticity are not issued by the Tigers. All sales are final. Should you have specific questions or reservations about an item please contact the Detroit Tigers Authentics Department at marc.himelstein@tigers.com before placing a bid. Due to the volume of items sold, please further note: (1) product ships 2-4 weeks after the close of the auction, and (2) due to the volume of items sold, special shipping / delivery arrangements (including in-person pick up) are not available. (3) To keep the auction fair for everyone, winners who do not pay for their items will be banned from future bidding. All sales are final." A valid shipping address is required for all deliveries. As a signature is required upon delivery, please ensure that someone is at the delivery address to accept and sign for the package during regular business hours. Regular business hours are 9am to 5pm EST, Monday to Friday. Sales tax will be added to winning bids for auction items being shipped to FL and MI. Tax will also be added to the winning bids for auction items that are picked up in each of these states mentioned. All International customers are responsible to pay for all applicable duty and customs charges. Your local government determines duty and customs charges depending on where the merchandise is made and what it is made out of. When placing an order on MLB.com, you are considered the importer of record and must comply with all applicable laws and regulations. Charges for duties, taxes and the carrier's collection fee are in addition to your shipping charge and must be incurred by you. You should contact your local customs office for further information.